Retail Store manager Responsibilities and Skills | Job Awareness: Know about Jobs and Job Descriptions. 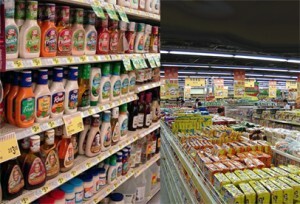 A store is a common term that can be called for a supermarket store as well as the company stores. However, the difference is the size, and both jobs are challenging, and you must be efficient and effective to tackle these jobs. Retail store manager is a job for experienced individuals in the retail industry. You need to have adequate knowledge in dealing with thingsand must have the capability to take right decisions on right time. Primary duty of a store manager is to make sure all the operations are going smoothly without any hiccups. Primary responsibility is make sure that the sales target are met both micro and macro level. Store manager has the responsibility to improve sales of the store and maximize the profits of the store. Store manager is responsible for recruiting new employees for the store and improving the performance of the store employees by motivating them, getting most out of the employees and train or give tips on how to improve customer service by communicating them the do’s and don’ts. Store manager is responsible to keep excellent relationships with vendors and should really. What are the lists of the things that are in demand, which one to buy more or and leave items, which do not attract great demand from the customer. Create, Design and implement new strategies to improve the sales and customer retention. Ensure that the products keep in the store are safe and clean. Get the customer’s feedback and make changes according to the feedback. This position demands high level of communication and interpersonal skills to mingle with the employees and extract more work. Excellent decision making skills are needed for this job. Leadership qualities are needed and lead the store with an example. Problem solving skills is needed on the time of urgency. General Accounting knowledge is necessary. These are the general responsibilities and skills required for a retail store manager job.